Great outfit, you look lovely. Love that denim jacket by the way. I can see your ombre, it looks great. When I did mine (at home, risky!) I applied a small amount just to the ends of my hair to test it out and once I was happy with it (and nothig turned a weird colour) I applied more and took the bleach up my hair more. Much easier to get a blended line this way and also stop it going wrong! 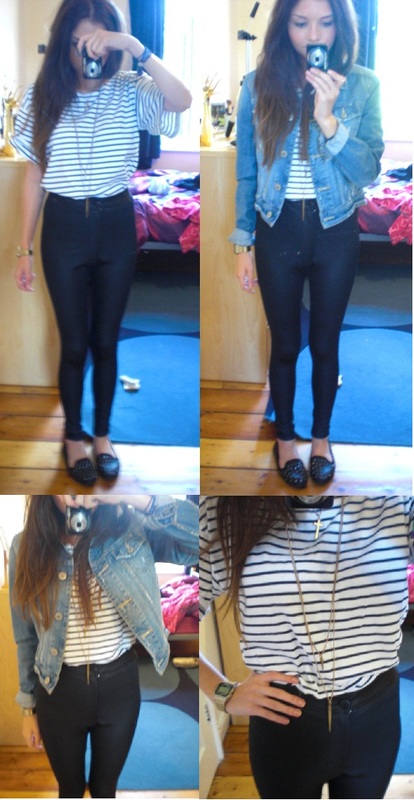 Cute outfit, how much were the ASOS disco pants? buy smaller if you're unsure but I'd say so, they do show knicker lines/tucked in top lines, just got to wear appropriate underwear and smooth things down! I love disco pants, they look so good on you!